Everything That Went Down At The Star-studded Wedding of Mohit Marwah and Antara Motiwala #antumoh! Mohit Marwah, who made his bollywood debut with Fugly is the son of Sandeep Marwah, owner of Noida Film City. He tied the knot with Antara Motiwala a celebrity stylist. The big fat Punjabi wedding took place at Waldorf Astoria,Ras al-Khaimah on Tuesday evening and the Bollywood biggies were in full attendance. 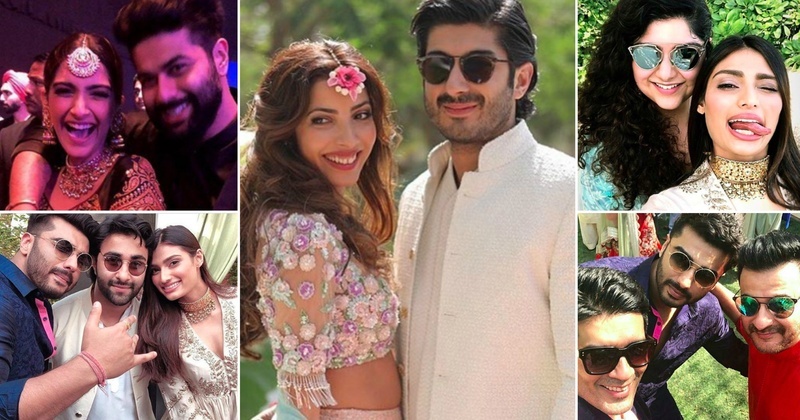 Mohit is Anil Kapoor’s nephew, which means the Kapoor family made the star-studded affair a wedding to remember. The celebrations kicked off with a colourful mehndi ceremony during the day, which was followed by a cocktail party. The official wedding hashtag #antumoh is brimming with all the inside pictures and videos of the attendees. The bride opted for a pastel chikankari Manish Malhotra lehenga bursting with blooms for her mehendi. Mohit donned a royal look in a sherwani. Kiara Alia Advani wore a beautiful pink banarasi lehenga by none other than Manish Malhotra! And the list of celeb guests comes to an end. So did the #antumoh wedding give you any fashion goals for yours?